Ruger GP100 High Polish Stainless LIKE NEW! Description: Up for your consideration is a LNIB Ruger GP100 revolver chambered in .357 magnum/ .38 special. With a 4.2in bbl and adjustable target sights, this revolver is a fine example of a very well built Ruger Revolver. The gun is in the original box however, is a few years old and was purchased by the consignor as polished. Potentially a Distributor Exclusive. This revolver is highly polished in excellent condition with only a few minor handling marks and a light cylinder ring. The gun is equipped with cushioned rubber grips with hardwood inserts. 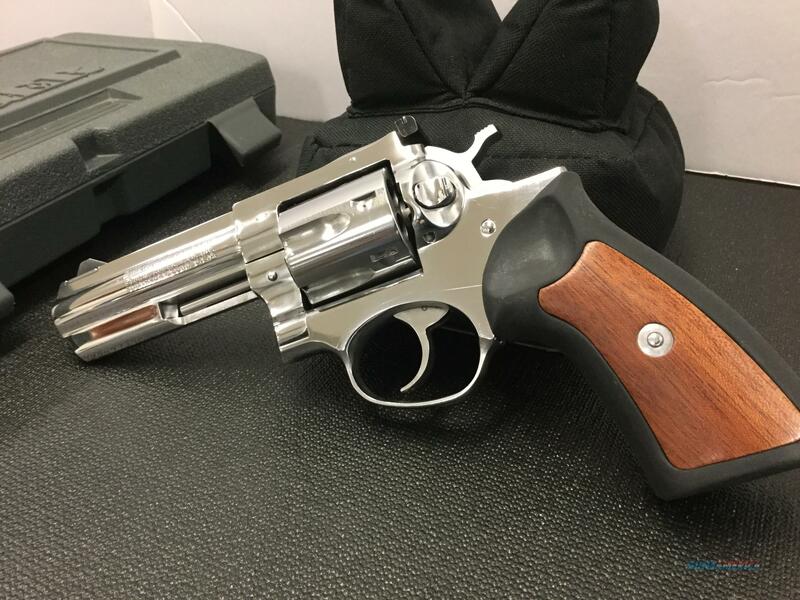 This is an excellent option for any shooter or collector looking for a beautiful high polished stainless steel .357 revolver but doesn't want the hassle of finding and maintaining a Colt Python.